Headwaters Center for Lifelong Learning continues its exploration of the future on Tuesday, April 3, from 1 p.m. to 2:30 p.m. at Northwoods Bank in Park Rapids by delving into what Hollywood believes is in the future. Screenwriter & producer, Lara Gerhardson, provides some tools with which to view this year’s Red Bridge Film Festival selections. Her talk will focus on the film elements that are used to represent the future – how they influence audience reaction and what kind of future the films paint for us. She will discuss the elements that are similar between the films that will be shown at the Red Bridge Film Festival. The Festival’s movies this year are: Gattica (1997), Blade Runner (1982), Ghost in the Shell (1995), District 9 (2009), Adjustment Bureau (2011) and Metropolis (1927). 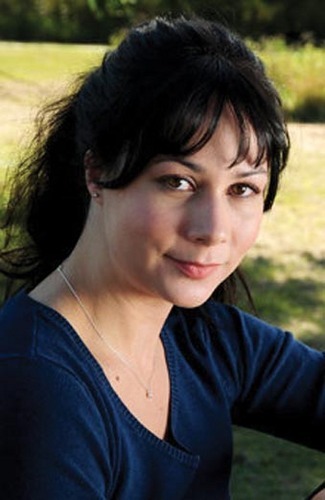 Lara Gerhardson attended Boston University (M FA – Film Production – College of Communications and Harvard University ( BA– English & American Literature & Language). She is currently working with Paul Bunyan Broadcasting as weekend radio announcer for Z99. In 2010 she was screenwiter & producer for the feature-length film, “Lazarus”. Through KG Productions in Bemidji, MN, Ms. Gerhardson has been the producer for Ingenuity Frontier Promotional Spot, playwright for “Out of the Hat 2”, “Out of the Hat 3”, and “Out of the Hat 4”, 24-hour Theater Festivals, stage manager for “Wait Until Dark”, and house manager for “A Zoo Story”. As a filmmaker she was director/editor/screenwriter of: “The Walkout”, “Behold”, “Kindling”, “One Last Time”, “Two Tied”, “Buried in Lies”, and “Love Words”and has produced a short film, “Wrinkle”. Previous postArtist Mentor Grant Program Deadline: April 11! Next postGot a Minute? Read Northern Arts News April Edition, Today!